Here are 7 tips to consider when you use a Bard Night Drainage System! Periodic inspection of the system should be made to ensure that urine is flowing freely and is not obstructed. Urine drainage bag should be placed near the foot of the bed, and below the level of the patient's hip. Drain tubing should be secured to the draw sheet with the sheeting clip to provide a continuous downward sloping path to the drainage bag. When transporting the patient, do not place the drainage bag on the patient's abdomen or between the patient's legs. Excess tubing should be arranged to permit "straight line" drainage or coiled in a manner that does not allow the tubing to kink or fall below the level of the drainage bag. To promote optimum drainage, position the drainage tubing over the patient's leg. This is especially important if the patient is obese. Never allow the drainage bag to be placed on the floor. Try to hangthe drainage bag from the patient's bed. Serving its customers since 1961, Parthenon is a family owned and operated company providing exceptional service and unbeatable prices to its valued customers. 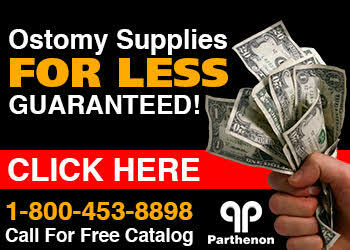 To learn more visit the Parthenon Medical Supplies website.